After a few months of drab winter colors our spirits are in need of a lift. The joyous hints of green indicating emerging daffodils and the songs of the returning birds tell us Spring is about to pounce in full force. One of these coming days (maybe it already happened) you’ll be taking that same old drive and where yesterday there was just a haze of green, today there is lush beauty all over the trees and lawns. The first Tulips might just be too much color to bear! This is the star of another season. The potential is unlimited and the possibilities are endless. As the mercury rises and coaxes you outside to breathe in that sweet spring air it is time to roll up those sleeves and get your blood pumping. It is time to plant! Okay, we are all guilty of a spontaneous buying spree. See it. Want it, Gotta have it. Spring blindness is running to the local plant emporium and buying everything in sight because it’s in bloom and green. What more could you want after winter? I know it is difficult to think about watering plants with all of the snow we have had this winter. If we end up having a dry spring though our plants, especially evergreens, will need some help from us to get their required refreshment. Evergreens continue to lose moisture through their foliage throughout the winter and with the ground being frozen they cannot replenish what they lose. It is similar to food that is left in the freezer too long, freezer burn. Some branches may look dead but don’t be tempted to prune them back. 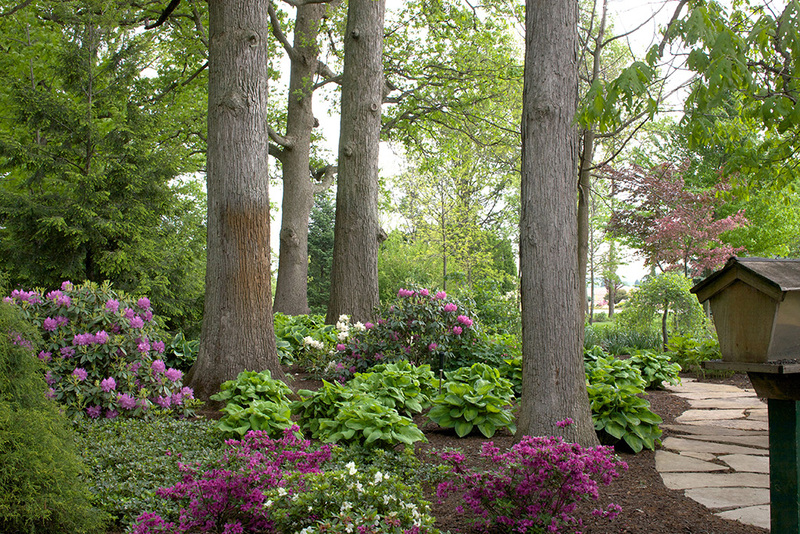 Give the plants time to push out new growth with warm spring temperatures. Plants can overcome an amazing amount of abuse. Keep in mind; If it is a dry spring be sure to get out the hose and start watering. Normally a March newsletter will contain some references to how great it is that the birds are out and the first bulbs are starting to poke through the mulch. Not this year! It is still winter and looks to stay that way for a minute. There is hope I guess. The first day of spring in March 20th. That is less than three weeks away. The average high temperature for March is 46.7 degrees which is a far sight from what we have been looking at lately. It has to get warm sometime this month. Doesn’t it? Let’s keep our spirits up and make lemonade from our climate lemons. All this snow will make some great snowmen once it thaws enough to make a ball from it. Ice fishing has been up this year. You probably gained many years of experience handling your snowblower this year. No one can take that away from you. When those 50 degree days come they will feel REALLY warm. Hang in there kids. April, theoretically should provide us with many 60 degree days. Who wouldn’t want to go on a treasure hunting adventure looking for an elusive prize? Every spring we can always go looking for hidden treasures, In this case they are known as Morel mushrooms. I remember going out into the Woods at my Aunt Sophie’s house. My cousins and I, paper bags in hand, went on the hunt. Sometimes the neighbor Pete and my uncle would even tag along. As we walked I can still remember the smells of the woods. Fallen trees and old leaves were the carpet under our feet for these journeys. Then, a squeal of joy from the first one of us to find the prize. Somehow once someone saw the first one the rest would magically appear on the forest floor where just moments ago they were invisible. What fun we had walking through the forest, talking and cutting mushrooms on warm spring days. Occasionally we would even see a deer with her new fawn. After the hunt it was back home to clean and cook the mushrooms. They are absolutely awesome sautéed in butter and olive oil with a little salt and pepper. There is a short window each spring to go on these hunts and to savor the flavor of these delicious fungi. If you do not have a woods to go looking for these treasures, fear not. If you are fortunate enough to live near New Buffalo, Michigan there is always a guy with a truck parked at Red Arrow Highway and Highway 12. In season he will be there with gigantic morel mushrooms on the hood of his truck. Of course the flavor is the same, but being in the woods on a warm spring day can be the greater prize. The beauty of nature coming to life, birds singing, and the sun shining through the trees is what makes life satisfying.